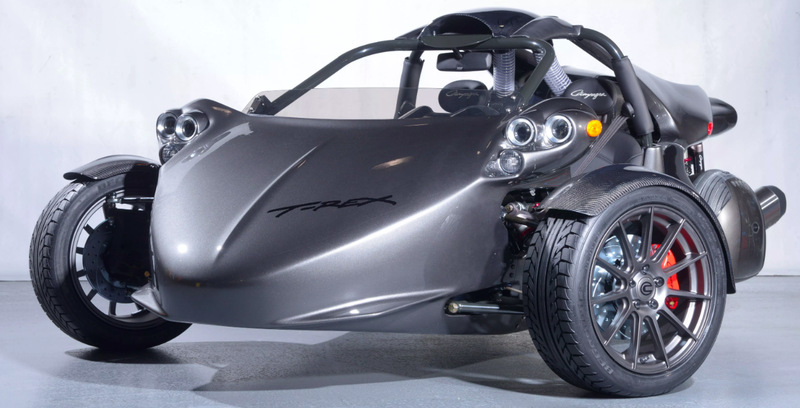 Quebec-based company Campagna has sold the three-wheeled Campagna T-Rex for over two decades now, but recent information from consulting firm PricewaterhouseCoopers shows that the brainchild of F1 mechanic Daniel Campagna and car designer Paul Deutschman has filed for bankruptcy protection. Cirbin Inc.—Campagna Motors’ legal name—filed a “Notice of Intention to Make a Proposal pursuant to Subsection 50.4(1) of the Bankruptcy and Insolvency Act” in early August, according to the PwC information publicly available, which you can read here. Then, on Oct. 24, the company submitted the proposal under the Bankruptcy and Insolvency Act—a proposal that the required two-thirds majority of creditors accepted last week, and which will be put up for approval in court on Nov. 15. I haven’t been able to get in touch with Campagna, so I don’t know the exact nature of Campagna’s woes, though with most situations like this it tends to be attributable to the old standby of “owe too much money, not enough money in bank account.” PWC’s report does mention issues with the delivery of the T-Rex engines, which come from BMW, but how relevant that issue is in the big picture, I’m unsure. Regardless, a bankruptcy filing from a small, niche vehicle business isn’t exactly shocking. Still, a resolution appears to be on the table, ready to get its stamp of approval from the court. So the T-Rex may live on, and the electric model (which is now just a prototype) may yet see the light of day. We’ll see. We’ll update this story as we know more. UPDATE: We got in touch with Campagna president André Morissette over email, and he clarified that the company will not be liquidating throughout this process, merely discharging debt and re-structuring its finances with its creditors, which we understand is a process similar to Chapter 11 in the United States. Morrissette went on to say that the company is continuing to operate, fulfill orders, and deliver vehicles as normal. And “as for the problems with delivery of engines; they were related in parts by our tight cash flow situation and in other parts by events outside our control (strike at BMW in Germany, bad timing on people in vacation that stalls shipment for weeks etc..).. These events are not the cause of our situation, they just did not help us in delivering the calendar of orders we had and created cash flow issues,” Morissette wrote.